CoffeeQuip | …because coffee matters! From the bean to the machine to the cup….a perfect cup of coffee! 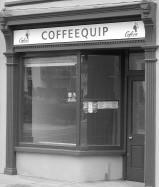 Coffeequip, a small family run business located on the Western Road, is Cork’s number one suppliers of premium quality gourmet coffee in the Munster region. We specialize in supplying only ‘top grade’ artisan coffees at ‘competitive’ prices to our valued customers. With a wide selection of coffee beans on offer to suit all tastes and price ranges, our loyal customers include a variety of established cafes, bars, restaurants, offices and hairdressers throughout Cork city and region. At Coffeequip we specialise in sourcing and supplying Arabica coffee beans – a superior coffee bean which is known for its smooth, sweet after taste. Whilst most of our coffees are 100% Arabica, we also stock 80/20 blends (80% Arabica/ 20% Robusta) which includes the unique Mediterranean roast Torrefacto blend. Ranges we stock include the very popular and well known Spanish roasted coffee blends Cofesa and Yerba in addition to our own house coffee blend Cool Mountain. Within each range there are a variety of tastes to choose from including beans from central America and Ethiopia. For anyone looking for a good fair trade organic coffee, then look no further, we also stock an excellent full flavoured and full bodied organic Gepa (the first fair trade company in the world) coffee and for anyone looking to roast in small batches we also stock green beans in their natural state – ready for roasting. 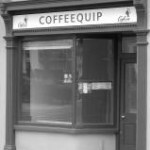 With over 35 years’ experience of the catering industry John O’Riordan the proprietor of Coffeequip is also an accomplished engineer. With John you will have the expertise of not only someone who knows ‘good’coffee but someone who knows what it takes to make the perfect coffee…from the bean to the machine to the cup. Contact John today for any coffee query you may have or for an appointment.